To celebrate Spring, I'm happy to announce a special discount for you this month! Use coupon code "SPRINGSALE" to receive 30% off purchases in any of my Etsy Shops through the end of the month! 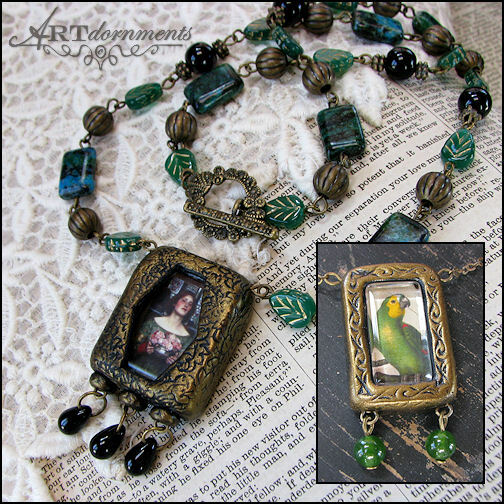 There are some funny "bird poop" charms & pendants for parrot lovers in the Alicia's Creations shop, elegant necklaces with an old-fashioned style in my ARTdornements shop, and unique magnets with positive messages in my Joy Magnet Art shop, all currently available for immediate purchase, so take a look! The plan for March's Bird of the Month was to be the Male Eclectus, in their brilliant green, in honor of St. Patrick's Day! Due to ongoing health issues however, I wasn't able to get the pieces listed for you last month, but here they are now - better late than never, right? 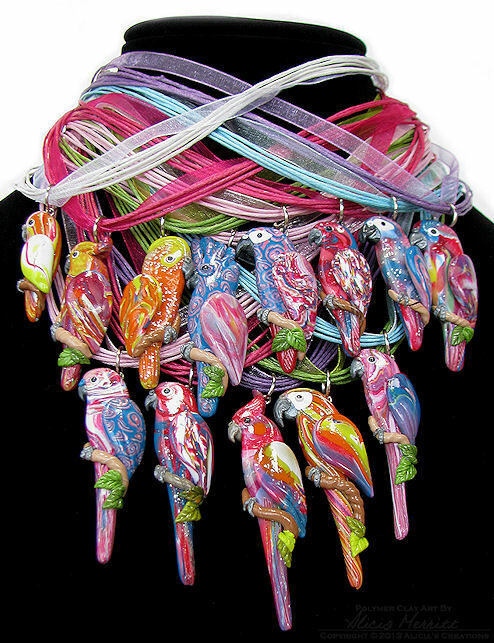 :) In addition, to celebrate Spring this month, there is a Congo African Grey with a white and pink flower, strung on a beaded necklace! 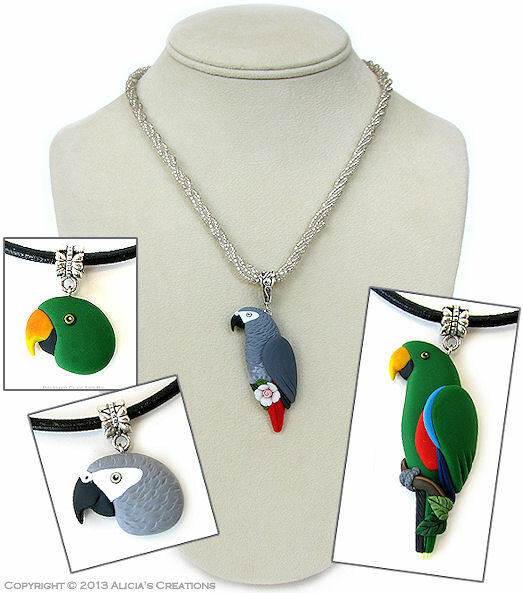 The new pieces for sale this month include all of the jewelry shown above: a Congo Grey charm choker, the Spring Flower Congo Grey beaded necklace, a male Eclectus charm choker, and two full bodied male Eclectus pendants (only one shown here). All of this month's pieces have a BUY IT NOW option, so act fast if you see something that you want! The pieces are being auctioned on eBay for five days, ending on Wednesday, May 1st.